Apple iPad yet another revolutionary product from the company and its already made a record selling since the day of its launch. iPad is a smart device which allows its users to surf internet, play music, watch video, reading e-books etc. There are hundreds and thousands of ipad apps available on the internet to make your iPad more lively, fun to use and productive. Even we had covered some of the best free iPad apps in our previous articles that you might like to check “10 Best And Free iPad Apps From New iPad App Store” and “20 Best and Free Apps For Your Apple iPad“. Alternatively, you also might like to check some of the stunning iPad wallpapers which are free to use and make your desktop more lively and beautiful. iPad has been out for a while now, so I thought this time to round up a list of free music iPad apps which are user-friendly, easy to use and take care of all your music needs. There are not so may music iPad apps out there which are free to use, but we have looked all over the internet to find the best apps so you don’t have to devote your time. 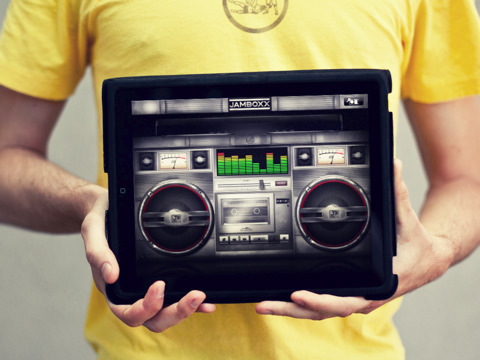 Here are the Top 10 best and free music iPad apps that are exceptionally cool. If you know some other music iPad apps which you feel suits best in this list, feel free to add the link in the comment section below. 1) RJ Voyager : The Rj Voyager makes you a DJ from the future. 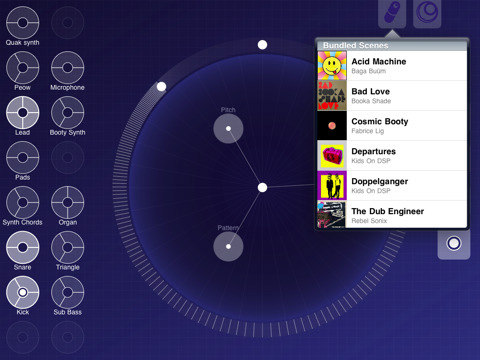 An amazing touch interface lets you navigate into the new world of RjDj scenes from mad techno drum machines to deep Dub Step experiences. 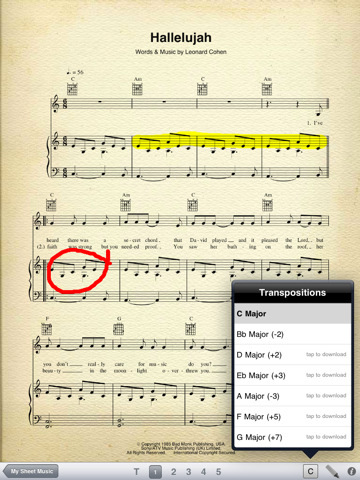 2) Musicnotes Sheet Music Viewer : Access your Musicnotes.com sheet music library on your iPad instead! Just download this free app, link it to your existing Musicnotes.com account and instantly import all of your iPad compatible sheet music files so you can display them on your iPad. 3) Jamboxx : Jamboxx takes you back to the days of mixtapes and boom boxes with an 80s-inspired interface that’ll get you nodding your head to the beat in no time. It’s easy to get started. Just open up Jamboxx and your iTunes library is ready to go. Create virtual mixtapes from your library by tapping the “Top Jams” button and store your mixes in the tape rack. 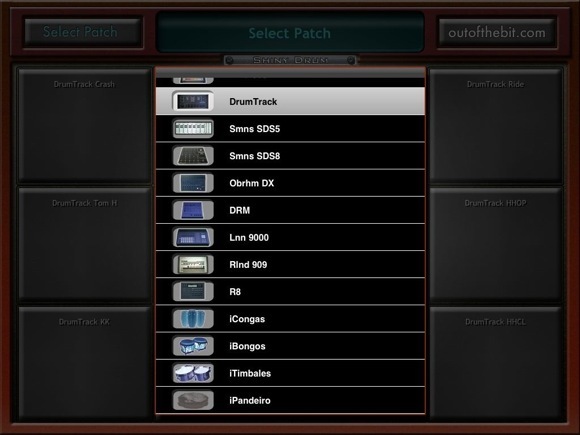 4) Shiny Drum : Shiny Drum is a music application for iPhone, iPod touch and iPad designed by OutOfTheBit and Leo Di Angilla, the creators of Vintage Drum (app featured by Apple in many countries), iBongos, iCongas, iTimbales, iPandeiro. 5) Beatwave : Create amazing beats and tunes without any musical ability using Beatwave for iPhone, iPod Touch and iPad. Using just your finger, you’ll be turning out wicked tracks for FREE that amaze your friends and family, in no time at all. 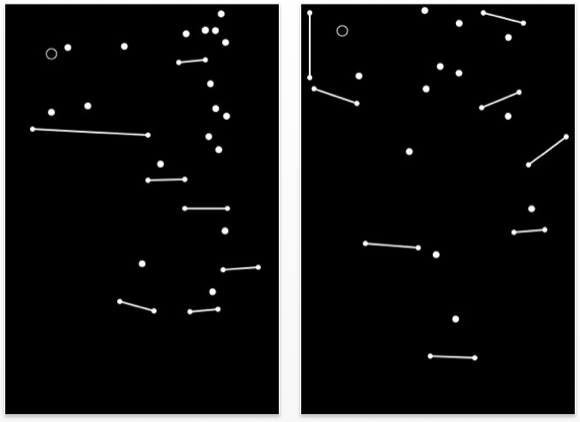 6) Sounddrop : Draw lines and watch as Soundrop uses them to create music! Listen with headphones for the full effect. 7. SoundHound : This free version of SoundHound gives you unlimited voice and text searches, unlimited lyrics, and amazingly rich iPod integration. You start with 5 free super-fast music recognition IDs and get 5 more free every month. 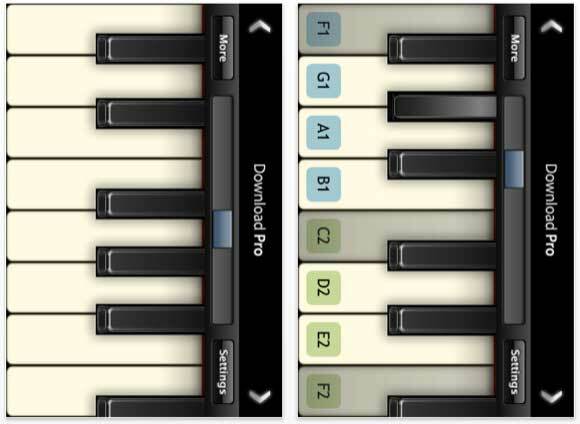 8 ) Virtuoso Piano Free 2 HD : This is the Lite version of Virtuoso Piano, the amazing grand piano for iPad and iPhone.With its unprecedented sound quality, Virtuoso Piano Free is the perfect free piano to learn the basics of music or just having fun. 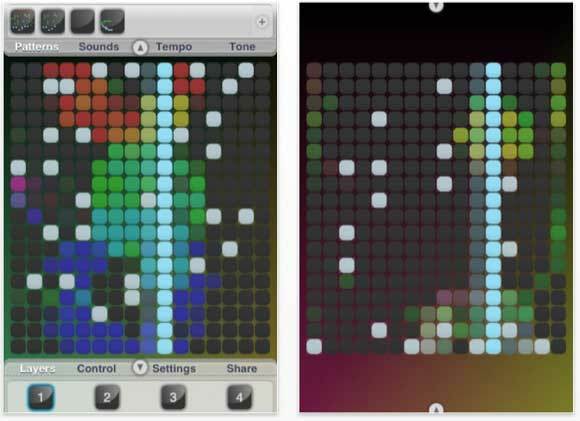 9) PatternMusic MXXIV : PatternMusic is three music tools in one. You can create songs intuitively using layered instrument patterns, play an interactive polyphonic musical instrument with over 50 different voices and jam along with your iPod® Music Library without leaving the app. 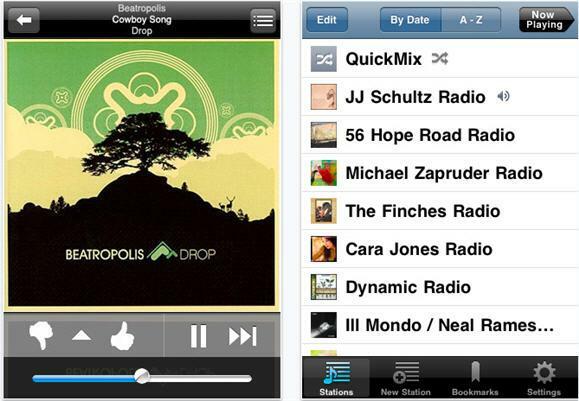 10) Pandora : Pandora Radio is your own free personalized radio now available to stream music on your iPhone or iPad. Just start with the name of one of your favorite artists, songs or classical composers and Pandora will create a “station” that plays their music and more music like it. 11) GrooveMaker : With GrooveMaker, you can create professional full-length tracks, grooves and beats for your music compositions, ambient soundtracks, movie scores and even dance parties or workouts — wherever you need to groove. And it’s so easy to learn, you’ll be creating the grooves of your friends’ envy in minutes.